To bring in the top four Virginia wrestling teams from the state and also then insert a few other top teams from Maryland and Pennsylvania surly makes for madness. If your team has holes (forfeits) or lacking a solid line up you do not stand a chance. In short the Battlefield Duals displayed an atmosphere that had the best teams battling each other on the mat. Battlefield Duals was a 12 team pool meet that had seeded four teams into three pools going head-to-head in a round robin. Some could also state that this event could have been even tougher than any VHSL State wrestling tournament – surely no other event on this Saturday could be worthy. Wrestling in Pool B the Falcons started the day with a match verse Connellsville PA. While Fauquier held the lead through most of the match as Connellsville came back to nip Fauquier 34 to 30 in a close dual. Both teams won seven matches each. 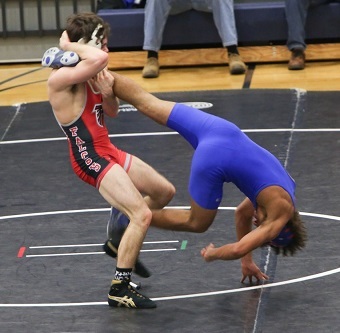 Faced with Christiansburg in its second match and currently the second ranked wrestling team in the state, Fauquier also fell 40 to 16 in a high intensive match as both teams wrestled hard. Key wins came from Kyle Roche, Garrett Tingen, Eric Lemus, and Andrew Smith. The 152 pound match show cased Garrett Tingen winning an 11-4 match over Creed Lumpp. Both wrestlers are ranked second and third respectively in the state. The Fauquier then turned the corner and ran off three consecutive huge wins by beating Amherst County 50 to 21, Brentsville 55 to 18, and then Westfields 55 to 19 to win the Bronze Pool. At days end top performers came from Garrett Tingen who went 5-0 as Ty Foster, Kyle Roche, and Matt Raines all posting a 4-1 record. Other standouts were from Celab Strum who went 3-0 and Franco Camarca with a 3-1 record. Next event: Fauquier will have a home meet verse Kettle Run on Wednesday, Jan. 7th then will head to Hampton Col., Hampton VA on Jan. 10th and 11th. 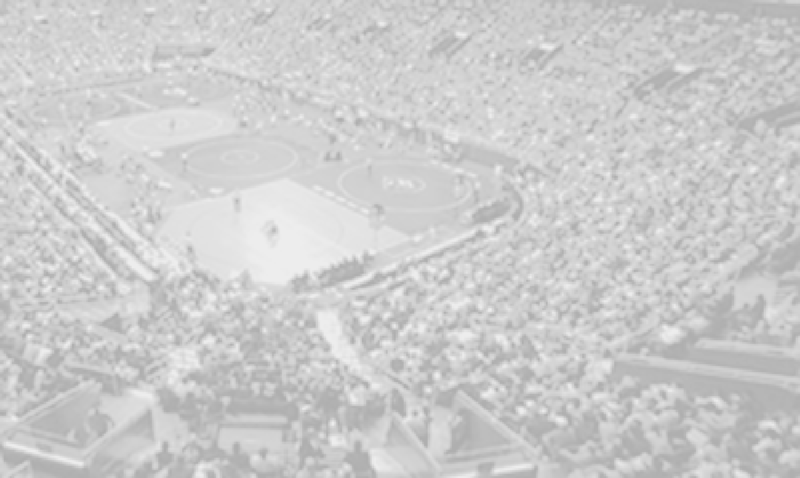 for the Granddaddy of Wrestling events – the Virginia Duals. 285 - Austin Knies (Westfield) over Thomas Palmer (Fauquier) Fall 0:20.